There’s a lot to discuss in politics that much of defies description. Nevertheless they are often important. Find those here. American Government: Who’s In Control? When we watch, listen, or read the national news, there’s really NO way to tell who is actually running the U.S. Government. Traditionally it has always been the President in conjunction with the other two branches of government: Legislative and Judiciary. 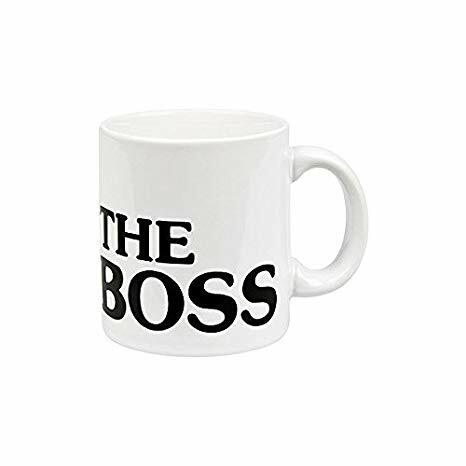 But to most Americans, who is the “Boss” is unclear. The uncertainty of who is in charge has created certain chaos in the U.S. This generation has only the tragedy of 9/11 to point to as a traumatic national event around which those in government rallied all Americans. And that was almost two decades ago. Those memories are growing dim. Replacing that spirit of unity has so far proven to be unachievable. But, that failure is not a product of lack of effort. There are many who have stepped to the “Boss” podium who each have claimed power and control of U.S. Government. Each has been met with one common thing, and that is NOT compliance or acceptance. It has been chaos. Division among Americans has reached a fever pitch. And try as they might, failure to gain the support of the American masses sufficient to quell the waves of chaos has swamped each. Ronald Reagan was the last U.S. President to rally Americans to the drumbeat of unity. Reagan’s government was certainly divided, but the Gipper had the ability to cross the “difference” lines sufficient to draw enough people together to create visible progress in most areas of American life. How could he do that? Maybe it was his successful acting career. Maybe it was that after acting he segued into politics as California’s governor. 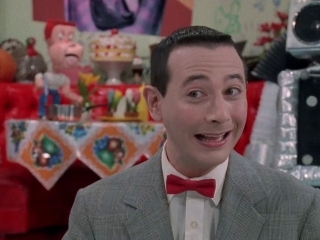 In that role, he certainly had sufficient communication experience from acting that better prepared him to relate to different groups of people. Reagan’s VP briefly replaced him in the White House. Bush ’41 was a classic politician. That persona branded him and virtually banished him to just one term. Clinton brought charisma back to D.C. He too as was Reagan was a great communicator with the ability to cross ethnic and social barriers among Americans that resulted in two terms as president. Though his tenure was marred with controversy, he left the White House as (and remains) one of the most popular U.S. presidents. Bush ’43’s election marked the beginning of the “New” era of American politics. This new era was birthed from the innovation of satellite television, widespread cell phone and internet access for most Americans, and the creation of a new environment which adopted (in large part) the “title” of news organizations that were really just entertainment sources disguised as news. And it has taken almost two decades for Americans to fully realize that. Obama was the first U.S. president to lead the nation from this new 24/7 information environment. It perfectly complemented his personality and extensive communication skills. No one can reasonably argue that he was NOT a master of messaging in public. Regardless of the accuracy of many things he said when he spoke he easily related to many in his audience. He amassed a strong following in spite of some of his divisive political policies. Trump didn’t cause the chaos. The chaos caused Trump. What we are seeing is not a temporary spasm of chaos but a chaos syndrome. Chaos Syndrome is a chronic decline in the political system’s fundamentals. That weakening began when presidential leadership in the U.S. slowly began a slide in its structure. Simultaneously, the U.S. Congress apparently took note and joined in that slide into the abyss called Chaos Syndrome. It began with the weakening of the institutions and brokers—political parties, career politicians, and congressional leaders and committees—that have historically held politicians accountable to one another and prevented everyone in the system from pursuing naked self-interest all the time. As these intermediaries’ influence fades, politicians, activists, and voters all become more individualistic and unaccountable. The system atomizes. Chaos becomes the new normal—both in campaigns and in the government itself. The Framers worried about demagogic excess and populist constant changes, so they created buffers and gatekeepers between voters and the government. Only one chamber, the House of Representatives, would be directly elected. A radical who wanted to get into the Senate would need to get past the state legislature, which selected senators; a power-junkie who wanted to seize the presidency would need to get past the Electoral College, a convocation of elders who chose the president; and so on. So the chaos in government that daily plays out on a national stage is NOT the fault of the U.S. founders. Whose fault is it? American voters. We elect them. They make and execute every law and policy. And it’s not just whoever serves as President. It’s Congress, too. Paul Ryan didn’t have a chance. He didn’t want the House Speaker’s job: he was pushed unwillingly into it. And it showed. But Nancy Pelosi sure did relish reclaiming the Speaker’s gavel after the 2018 midterm election in which Democrats won back the House. Everyone knew what to expect. She had a lot of experience in wielding the power of that position. There are some new kids in town! Nancy and Chuck have seemingly met their matches. 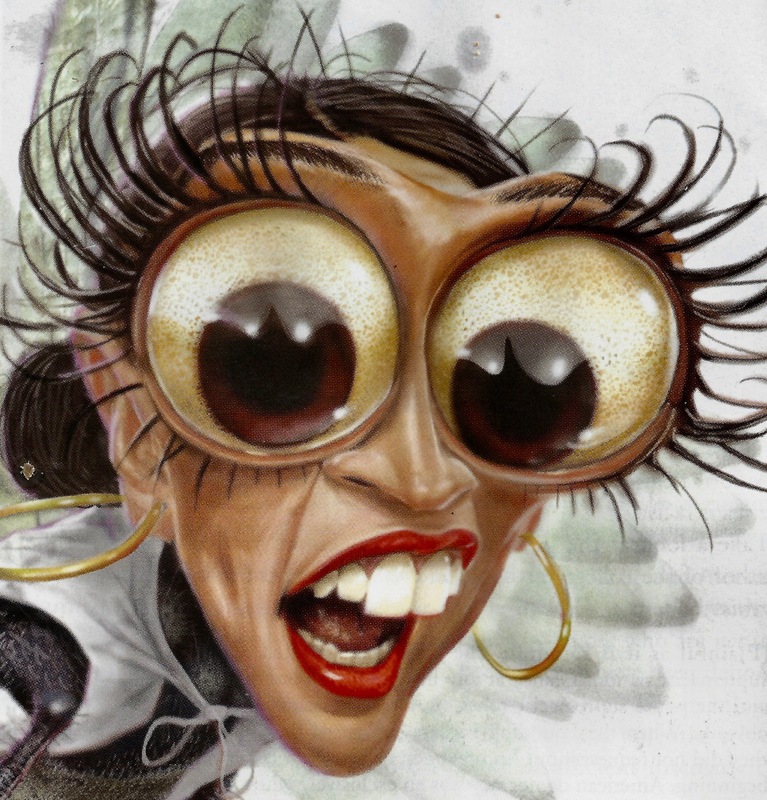 The 2018 Freshman Class in the House of Representatives has thrown a monkey-wrench into the Pelosi/Schumer plan — especially three of those rookies: Alexandria Ocasio-Cortez (D-NY), Rashida Tlaib (D-MI), and Ilhan Omar (D-MN). They are dynamite — they’re explosive — and they have already become the darlings of the “Millennial-Left!” And Nancy and Chuck are beside themselves. FOX News published a story describing what the three have already done to hijack the power couple and wrest control of the Democrat Party platform from Pelosi and Schumer. Freshman Rep. Rashida Tlaib’s Twitter bio declares her the “Unbossed Congresswoman” for Michigan’s 13th District. While the moniker has roots in Shirley Chisholm’s successful campaign to become the first black congresswoman, nowadays it also could be seen as a blunt message to Democratic leadership: Nobody is bossing around the class of 2019. And that’s a problem for party bosses. 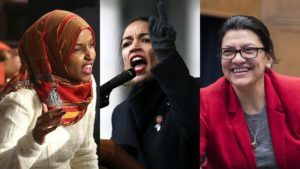 On everything from the Green New Deal to impeachment to criticism of Israel, a squad of first-year congresswomen are flexing their muscle and posing an implicit challenge to Democratic honchos like Speaker Nancy Pelosi. 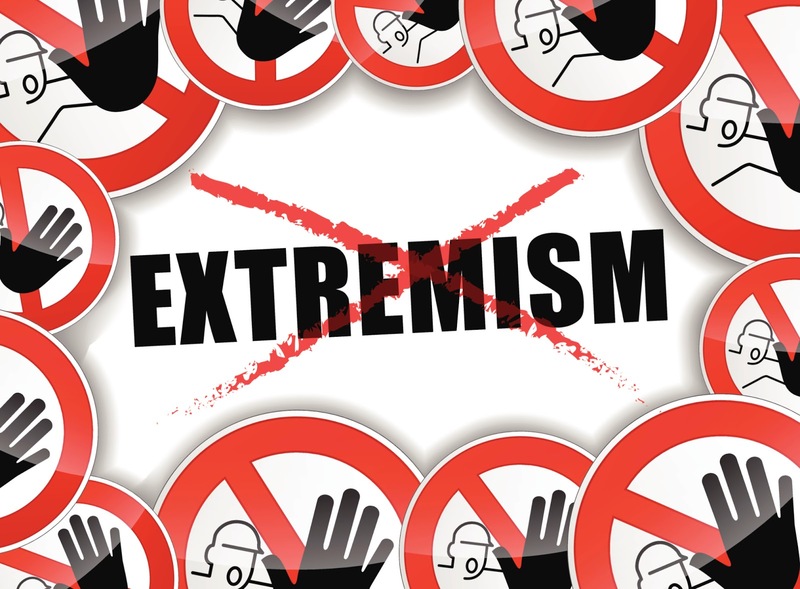 Their stridently liberal agenda – and power to steer the national conversation via social media and press attention – has fueled tensions inside the party tent that in turn are testing leadership’s control while stirring political concerns going into 2020. “All of our problems are caused by three people,” one senior House Democrat lamented. 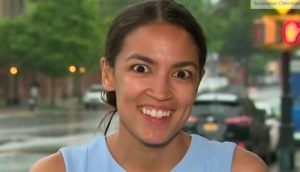 That would be New York Rep. Alexandria Ocasio-Cortez, Minnesota Rep. Ilhan Omar and Tlaib – all freshmen, and all uniquely unencumbered by things like decorum or deference to party elders. 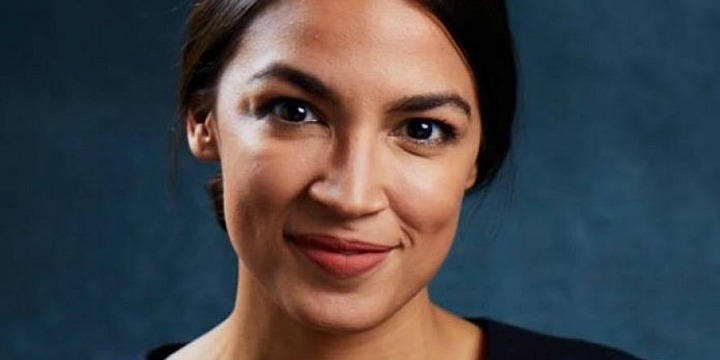 Ocasio-Cortez recently made waves by appearing to warn Democrats who vote with Republicans that they’re “putting themselves on a list” of possible primary targets (though she later denied she intended such a threat). Tlaib famously made headlines upon taking office by vowing they’d “impeach the motherf—er,” in reference to President Trump. Pelosi this week tried to rein in the impeachment chatter, taking a firm public stance against that route. Yet in the immediate aftermath of Tlaib’s vow, Pelosi downplayed the hubbub, saying she wouldn’t use that language but it’s nothing worse than Trump has said. Fast-forward to this month, and Pelosi faced another discipline problem – concerning Omar. Fresh off a dispute that saw Pelosi and fellow Democratic leaders condemn the Minnesota congresswoman for suggesting American allies of Israel were financially motivated, Omar riled party leaders again after suggesting Israel supporters expect or seek “allegiance” to the Jewish state. The statement was widely condemned, including among senior Democrats, as echoing the age-old “dual loyalties” smear against Jewish politicians. Leaders hastily prepared a resolution to push back on anti-Semitism. Yet after Pelosi faced a rebellion in the ranks amid concerns the measure would unfairly single out Omar, a Muslim, and increase security threats against her (she was recently the subject of an inflammatory poster at the West Virginia capitol falsely tying her to the 9/11 attacks), the resolution was overhauled. The sequence of events only fed the narrative that party leaders are struggling to rein in freshman lawmakers who are pulling Democrats off message at a critical time, with the 2020 presidential campaign season getting underway. Tlaib and Omar already have signed a pledge to impeach Trump. And, around the same time anti-Trump protesters were arrested outside Pelosi’s office last week, Tlaib assured them she’ll introduce a resolution this month urging the Judiciary Committee to proceed with impeachment. Looking ahead, some Democrats stress that it’s critical for the party to maintain focus. And that’s the million dollar question. 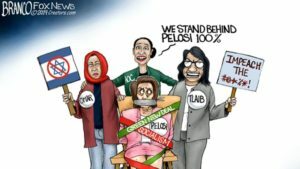 None of the Democrat Party leaders in Congress or at the party level have any idea of how to control these three rookies. And the “New Kids” have taken over the Party! Civility in the Democrat-controlled House of Representatives is gone! What are Democrats Going to Do? If wasn’t so comical it’d be funny! Seriously, it IS comical to watch Nancy Pelosi struggle to find reasonable answers to the obvious questions from the media about that very thing: “What are Democrats going to do?” You can bet Nancy and Chuck stay huddled up somewhere regularly to collude with each other scratching for answers. And just as quickly as they find one, the “New Kids” step up to the microphone and make another outlandish Democrat policy statement that sounds as if it originated from the backside of Mars! “Free College For All.” The “New Kids” all signed onto Bernie Sanders plan or something equivalent that is estimated to cost $95 Billion a year. But we all know that if it’s free, far more students would take advantage of it. What’s $115-125 extra each Billion a year? Raise Taxes: No big deal. The “New Kids” have that problem worked out. How? Simply change the marginal tax rate on America’s rich to 70%. By the way: she just floated a proposed 90% tax rate for American corporations! It will take every bit of that to pay for the “New Kids” ideas floated above. But we left one out: “Medicare for All.” It is not original with the three — Bernie Sanders floated it first. The “New Kids” love the idea, so it’s a done deal! The cost? $32 Trillion over 10 years. By the way: economists have analyzed the 70% proposed tax rate for the wealthiest of Americans. You will be excited to know that with that new rate AND the “New Kids” programs listed above, the additional tax revenue would almost cover their costs. It would take care of all but 99% of them! In one way it’s scary to believe that power in our government could possibly be controlled by any more wicked than House Speaker Pelosi and Senate Minority Leader Schumer. But in this case, I am scared! We didn’t even mention the problems with those three other than their economic ideas. On social and political levels, they are each off the charts. They make Pelosi, Schumer, Bernie Sanders, Hillary Clinton, and even David Duke look like Saints! But you know what is really scary? Many young Americans love the trio. And they love their “progressive” ideas. Never mind the inability to pay for them. Never mind the dismantling of the free market and launching a Socialist nation in its place. Never mind the ridiculousness of trying to implement even one of the above ideas and watching the titans of industry immediately shutter dozens of major corporations putting millions of American workers on the street without work. That doesn’t matter: they’re such good ideas! “Symbolism Over Substance” is the mantra of the “New Kids.” No, they’re not the ones using that. But Americans who ARErealists, who read and listen, who ask questions and get answers, and who expect reality from their elected representatives understand there is NO THERE THERE — NO SUBSTANCE! You know what else is good? These three are members of the House of Representatives and not the Senate. That means they can be removed and replaced by voters in less than two years — IF THEIR VOTING CONSTITUENTS ARE PAYING ATTENTION! You certainly will agree when I say, “It’s been quite an eventful week!” That’s a definite understatement. Actually, the last 2-3 weeks have been eventful. Heck: all of 2019 has been CRAZY! In some respects, it’s been difficult to cherry-pick the most important issues of our day, bring the analysis of each to you here at TruthNewsNetwork, and do so in the timing and order based on their importance. This will NOT be the same old worn out news. It is an analysis of what and why this all happened and how it was exacerbated. You do NOT want to miss it. 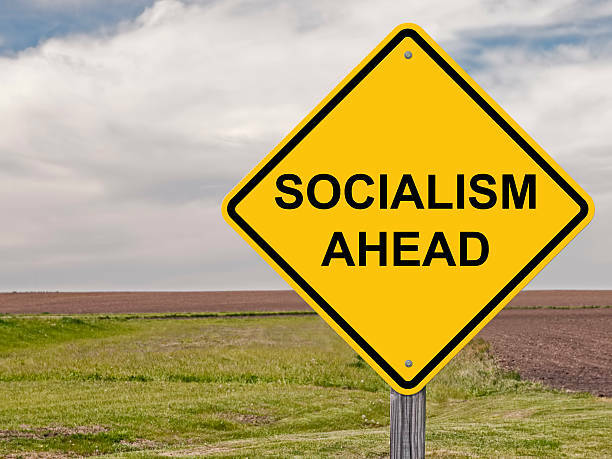 Yep: AOC and company along with those “Old Folks” — Bernie Sanders and Elizabeth Warren — have sold out to sell Americans single-payer healthcare. You’ve heard all the noise. Wonder what it would actually look like: your healthcare? We’ve got REAL examples and REAL facts about ALL of the issues if the U.S. adopts it — and NOT just the dollars and cents. We will actually expose what it will do about medical care. We have FACTS! 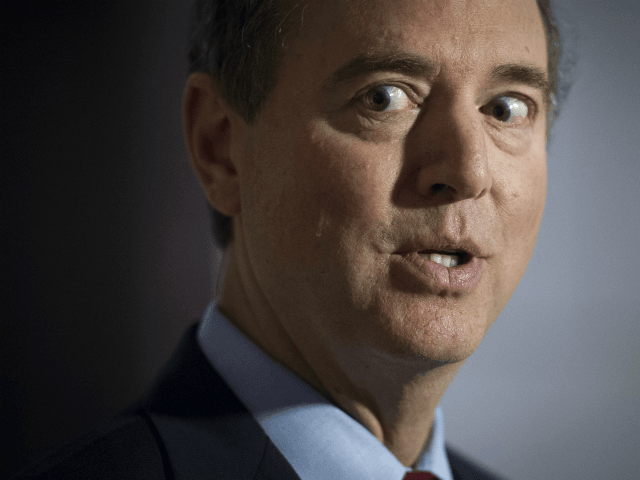 Adam Schiff and Jerold Nadler have gone nuts from the smell of the power they now have with a Democrat-controlled House. The 81+ subpoenas Nadler’s committee sent to Trump et al demanding Trump current staffers and family members suspend their lives to provide those committees massive amounts of a bunch of bunk. It’s actually comical! But, guess what: it probably WILL NOT EVEN HAPPEN! You’ll definitely want to look-in Tuesday to see and hear what the courts have to say. Wednesday, March 13, 2019: Who’s In Control? Certainly, the Democrats control the House and Republicans control the Senate. Trump runs the White House. But who really controls the government? You will be surprised that the answer is “none of the above.” Details and proof on Wednesday. Of course, during these next few days we’ll have another bombshell or two on the national and international stages we’ll be forced to get into. Don’t worry: we can walk and chew gum here! But one thing you can bet on: the upcoming week is going to be blockbuster after blockbuster. Don’t miss a minute. And to make sure you don’t, if you haven’t already, enroll with your email address below to assure yourself you’ll get a link to every story as they are published in the upcoming week and every day after that. No advertising, no solicitation, and your email stays right here. We don’t want you to miss a thing. As a young boy, I always thought I’d grow up and become one of two things professionally: a doctor or a lawyer. I loved medicine. And I loved the Law. I studied both diligently. By the time I entered high school, I decided I wanted to be neither. I loved current events, civics, and writing. So I threw myself into public speaking, debate, and journalism. That (and my high school Speech/Debate teacher — who was a news director parttime at a local radio station) sent me into broadcasting. I worked parttime through high school and full time in college doing on-air radio work. I majored in Journalism, fell in love with writing, and have kept my hand in it since. As a true entrepreneur, I started several companies and immersed myself in growing them. Having to twice monthly meet payroll, I learned about American economics and how everything in government impacted American economics. Politics grew in importance, and I found myself immersed in understanding and participating in the government process. 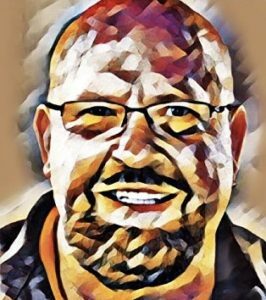 My love for Journalism and politics, when linked to owning and operating my own companies, resulted in my discovery that I was (and am) a true Conservative. I watched closely as the divide between conservatives and liberals in the U.S. grew wider every year. Liberals seemed to want more control over our lives. Conservatives seemed to want less government intrusion and more freedom to operate in a capitalistic economic environment. I understood how each work, but I have never been able to comprehend the liberal political drive to tax Americans more and more, therefore making the federal government bigger and bigger and spending more and more tax dollars. I soon learned the liberal political drive in the late ’90s started pushing harder and harder away from “tax and spend,” and sprinted toward “more and more power to the government.” It dawned on me: when a government has unlimited power over its citizens, it STILL has control of all the money. But because of power, it controls everything else, too. I never let myself get too far away from the Law. There are many parts of the Justice System I feel strongly are broken. I don’t like unlimited civil litigation. I’ve watched it destroy lives and bankrupt good people and thriving companies just because of the outrageous cost of litigation. I heard it stated a long time ago that “the only ones who win in litigation are the lawyers.” That fact is grossly understated. The costs of civil litigation are staggering. Criminal Justice in America is as bad or worse. It favors the wealthy. Why? Because it’s expensive. It is grossly unfair to minorities — primarily because of the expense of criminal defense. And as we’ve witnessed, minorities find themselves facing prosecutors and needing good defense counsel more than Caucasians. I’ve written extensively about it in the past here at TruthNewsNet.org. Today, our conversation is about the “principles” of United States Law. We are NOT going to talk about expense, attorneys, or its structure. Let’s simply stipulate that even with its issues, it is still the greatest justice system on Earth. The U.S. Constitution and its contents are the reasons the United States is known as the most unique country on Earth, and from that uniqueness, the best country on Earth. It differentiates America and Americans from all other countries and people. The Constitution created and established the fundamentals of governing all Americans. Those laws in part have been treated universally for 240 years as the guidelines for the lives of us all. On the most part, they have worked remarkably well. But people and politics have changed American Law: not the “substance” — just the applications. Our early leaders in Philadelphia met over and over again, crafting, editing, debating, editing, arguing to find consensus to create a single document that would become and remain America’s template for justice. By all counts, they were successful. The United States Constitution became the fairest and most comprehensive roadmap over governance on Earth then and still is today. It is unfortunate that during its lifetime, many have attempted to fundamentally change the Constitution. Fortunately, it contains a very difficult amendment process that has allowed its amendment only as deemed “vitally necessary.” That difficult process to amend was purposeful. Why? To prevent any fundamental change in it based solely on “political perspectives of the day.” The forefathers knew that times would change legal necessities which would necessitate amendments. But they were so certain (based on their European experiences) the Nation’s longevity would rely chiefly on the consistency of its fundamental legal backbone, they assured Americans that forever this legal treatise would NEVER be substantively altered based solely on peoples’ whims. It has been amended only for very important reasons. BUT FUNDAMENTALLY, IT REMAINS VIRTUALLY AS WRITTEN. And for that, Americans are fortunate. Sadly, there have been, and still, are today, those who want to amend it based purely on “current” political whims. The difficult amendment process thankfully has protected it so far. It would be easy to spend much time debating the merits of each of these amendments. We have previously done so regarding several. But today we will not dive into these amendments, just briefly point out the obvious: the fact that these six Constitutionally amendments which were all passed and ratified through the extremely difficult and arduous method required are under attack primarily by politicians illustrates the reasoning of the founders used for this process. If amending was too easy, in a heightened negative political environment such as the one in which we live today, we certainly would be exhausting our government’s time and resources in amending the Constitution rather than abiding the Constitution. The latest and most egregious example of people of political power working to circumvent provisions of the Constitution were the appointments by President Obama of very liberal and politically active judges to federal courts at every level, especially in federal appeals courts. 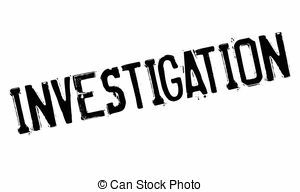 While there is no public proof that those appointed judges operated under a coordinated agenda, one must only look at the case results on which they have ruled to see that politically, they pretty much fall in line. All judges have political feelings. Hopefully, all judges vote. But what is dangerous for our system of laws is for federal judges to craft their rulings by instead of being based on their determination of Constitutional precedent and actual intent of applicable laws, based on what those judges felt what existing laws SHOULD HAVE been based upon, and even what they thought such a law SHOULD say! Justice Gorsuch believes in the Constitution and its strict adherence by members of all three branches of government. And, in case you haven’t noticed, our “abiding” by the Constitution instead of 24/7 debates to amend it has worked out pretty well! Great question. With our fractured political climate exacerbated by agenda-driven politicians, the desired finish for our nation’s journey has changed. Therefore, where we’re headed now is totally dependent upon who one listens to and THEIR perspectives. In that regard, our destination options are across a broad spectrum. Which nirvana we’ll find is anyone’s guess. We have a roadmap. No doubt the gift of the U.S. Constitution is the best guide owned by any nation in World history. So why not study it objectively, discuss it objectively, and simply accept its success at maintaining the legal and social structure of the United States 240+ years? There are a plethora of nations who would LOVE to have OUR foundation, OUR legal structure, and OUR opportunity. Those didn’t just happen, they were collectively crafted and agreed to by Americans. We are a “Melting Pot.” Many scholars have maintained for more than two centuries that the backbone for America’s success is the diversity of its citizens. The linchpin of our society is the promise that citizens here have equal rights regardless of race, ethnicity, religion, sexuality, or social preferences. While other countries try to instill and perpetuate similar practices, none has done so as successfully as the U.S.
We have geography. Few places on Earth have such choices of landscapes as America: oceans, deserts, mountains, valleys, prairies or lakes. And wrapping all of these zip codes is potpourri weather conditions that are as varied as are landscapes. Socially and culturally the U.S. has a citizenry comprised of Native American Indians and Alaskan Eskimos, Wyoming ranchers and Louisiana alligator wranglers, Hollywood movie stars and D.C. politicians, Conservatives and Liberals, Catholics and Pentecostals, Muslims and Jews. And all of these are in unity ruled by these people using one single document. Here’s our problem: too many have lost the ability for realistic discourse regarding the political problem. Politicians talk “at” each other rather than talking “to” each other. They speak about voters based entirely on political “Identity Categories” that have been devised by political elitists to denote people they do not like. An example was Hillary’s “basket of deplorables” in which SHE “put” Donald Trump supporters. The opinion of almost every Democrat voter is that Democrats are smarter, more loving, kinder, and politically savvy than all Conservatives. There is no willingness to discuss differences or to even consider opinions of those from the other side. Our forefathers dealt with much of the same issues. Think about this: the United States from its conception in the dreams of persecuted castaways in Europe has always existed as a country with unlimited diversity among its citizens. They knew for that to work, people would be required to be tolerant of others differences. They understood that tolerance did not mean approval. But tolerance was an absolute that must exist for this nation of laws to survive. That’s all here TODAY in America!